On September 3 a group of four women blocked Millers Rd leading from Southern Queensland Correctional Centre, stopping the transfer of prisoners from the facility. Originally published by No Gatton Women’s Prison Facebook page and Subversion 1312. They are calling on the Queensland Government to stop transferring women to the 300 cell Southern Queensland Correctional Centre. The newly formed group, No Gatton Women’s Prison, want the Queensland Government to stop the prison transfers and rethink the need for another women’s prison. It is estimated 40% of women in Brisbane Women’s Correctional Centre are on remand, meaning they are yet to be sentenced. No Gatton Women’s Prison say the Government should increase funding for diversionary programs to stop women entering the prison system; and place a greater emphasis on health, housing and education funding for women who are being released. The group say that the establishment of another women’s prison in Queensland could be avoided, and overcrowding concerns addressed, by better supporting women who are eligible for bail. Serco operates the Gatton facility currently and has applied for the tender for the women’s prison. If Serco is successful, Southern Queensland Correctional Centre will be the first women’s prison under its control in the world. The group holds grave fears for the welfare of the women given Serco’s record of human rights abused with detention centre offshore and locally and damning submissions to the Queensland Crime and Corruption Commission. The community group No Gatton Women’s Prison intends on planning further actions until the Queensland Government ceases to transfer women to the Gatton facility. 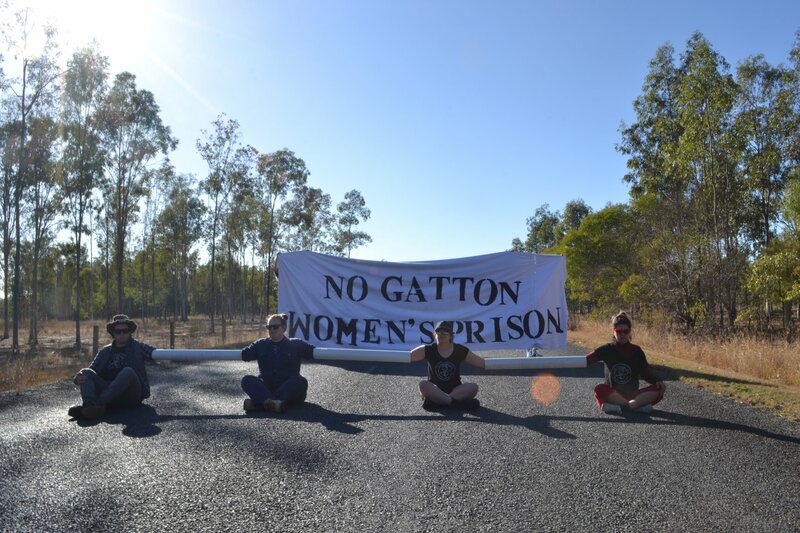 On Monday September 3 newly formed group No Gatton Women’s Prison staged a small protest which aimed to bring the issue of women in prisons to the fore. Four women blocked the access road leading from Southern Cross Correctional Centre. Women are currently being transferred to this new women’s prison which will be privately run most likely by Serco. Linda Rose spoke to Meg Rodaughan from the group about the group and the issues they seek to address. Previous post: Criminal Fire at the National Museum of #Brazil: The Answer Must Come From the Streets!